Superman died this week. I didn’t want to think about the fact that it could happen and as the days went on, likely it would happen. I wanted to believe in miracles. 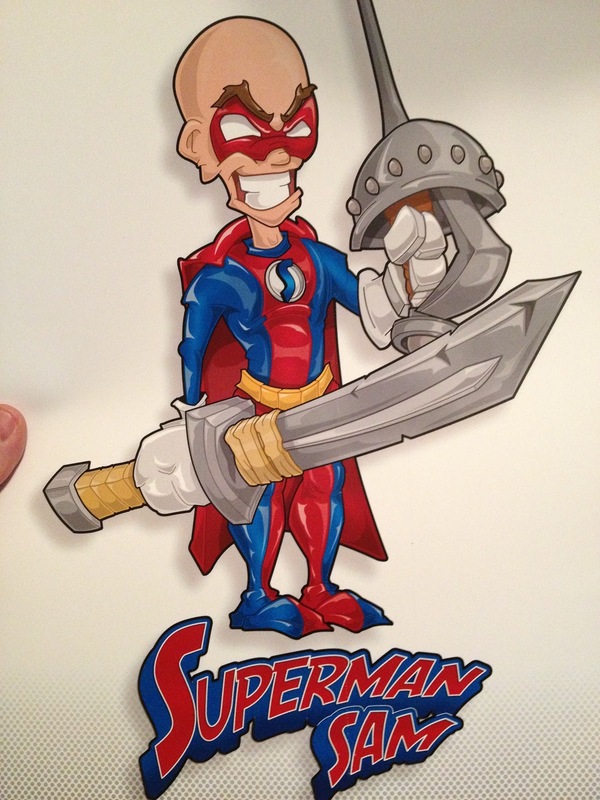 A few months ago I learned about Superman Sam from a friend of mine who knew his family. I saw on Facebook my friend had changed his picture to that of the Superman emblem and I was curious as to why, besides the fact that my friend is a comic nerd like myself. What I found was an incredible story about a boy and his family who all became superheroes. Superman Sam was, and always will be a hero. Sam was just a normal kid, full of life and laughter who loved superheroes, dinosaurs, and bugs. Sam loved pulling tricks on people, and was the comic relief of the family. Then without warning his peaceful family was devastated when by the news that their son, was also fighting for his life. Sam was diagnosed with refractory acute myeloid leukemia in 2012 and for 520 days they held on to the idea that he would survive this terrible diagnosis. August 27, 2013 he received a bone marrow transplant, 100 days later they learned that the fight was over and nothing more could be done. 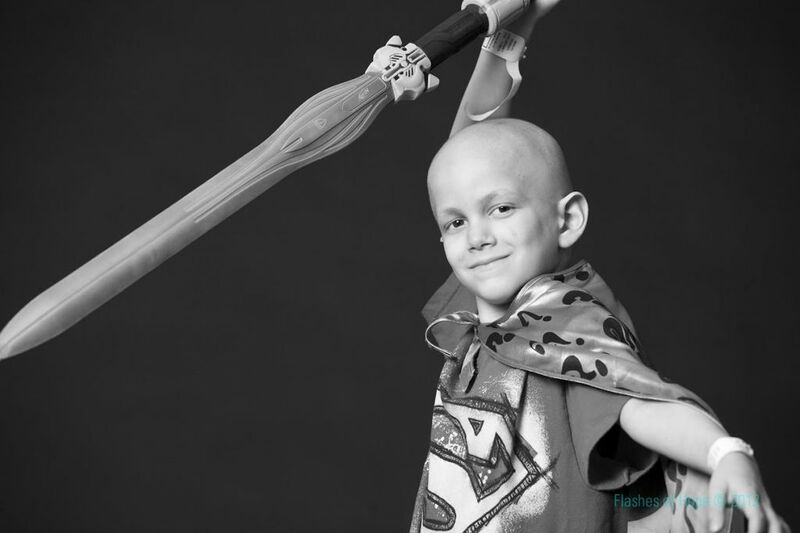 His “Ninja Leukemia” was stronger than Superman Sam could fight, his kryptonite was winning the battle and there was nothing left for them to do but to wait. But they didn’t just wait, they spent every day making memories and making a difference not only for their son but for the children they might never meet. His mother, Phyllis wrote an amazing and heartbreaking blog about their journey. chronicling their lives as they struggled to find a way to save their son as well as tend to the needs of their other children. I fell in love with this family and my heart broke with each post that things were not looking good. She didn't sugar coat it either, there were days when he was just in a bad mood, angry about the cancer he was harboring and days when she just didn't know what to do. She also taught us about how no matter how bad it got, Sam always thought about his siblings and his love for his family was his super strength. Superman Sam became a real life superhero. Around the world his story has spread and his smiling face will never be forgotten thanks to his loving mother's incredible strength to be able to write in spite of her heartbreak. Images taken in honor of Sam from his blog. Today his community and the world is mourning the tragedy of Superman Sam's passing, he will never be forgotten. Over 1,000 people attended his funeral in Chicago, while many more were with them in spirit. I am angry at the idea of a child facing his own death, parents having to explain to an 8-year-old that he is going to die, is beyond unfair. He wanted fireworks and party games at his funeral. Thankfully he didn't have to wait to see them, his community made sure to give him a special showing before that day came. We spend millions of dollars every year on useless things, cell phones, lattes, and more. Yet we can’t find a way to cure cancer? The government spends billions on weapons, political campaigns, and they can’t fund finding a way to save children from dying? Did you know that only 4% of United States federal funding for cancer research is earmarked for all childhood cancers? That isn’t enough! Over the past 20 years, there has been an increase in the incidence of children diagnosed with all forms of invasive cancer, from 11.5 cases per 100,000 children in 1975 to 14.8 per 100,000 children in 2004. I am very thankful for the advancements in research for other kinds of cancers and diseases that have saved the lives of people I care about and others I’ll never know. But today I am saying that we have to do more to save the lives of children. We have to turn our eyes to the fact that more can and should be done. We all have donated to breast cancer research. In fact because of those donations we have made either by actually donating or by buying products that donate, we have been able to save countless lives. But did you know that the NCI allocated $572.4 million on breast cancer research just in 2007 alone? Other NIH Institutes funded breast cancer research at a level of $132.6 million in the same year; and the Department of Defense, which also supports breast cancer research, allocated an additional $138 million. As a comparison, breast cancer with its overall 5 year survival rate of close to 90% received $843 million in Federal research funding in 2007. This was in addition to the funds raised by breast cancer organizations through their pink ribbon campaigns and private donations. It is estimated that the success of those initiatives raises approximately $256 million in the combined assets of the top four breast cancer organizations. That is A LOT of money! We can’t wait for miracles, we need to make them on our own. We need to fight as hard as Superman Sam did and defeat cancer. But it cannot be done without making an effort. We can’t sit back and do nothing while children are dying. I can’t.. I don’t know how to fight cancer, but I will fight my way. I can write and spread the word about the amazing work that is being done. I can donate to the incredible people out there like Sam’s family who have faced this monster and even though it took the life of their son, will never stop fighting. Every year in the U.S. there are approximately 13,400 children between the ages of birth and 19 years of age who are diagnosed with cancer. About one in 300 boys and one in 333 girls will develop cancer before their 20th birthday. I have a daughter in that age group and for her and for Superman Sam, I am fighting to do more. If you’re looking for a simple way to raise money in honor of your child or loved one, without the red tape and bureaucracy of setting up your own foundation, a St. Baldrick’s Hero Fund may be the right choice for you. Please consider taking a moment to do what you can to help those researchers fighting for lives of children. nextHey you stole that photo!